Please note that we do not accept reservations for groups of 12 people or more. What kind of food does Wigi's Kitchen serve? Seasonal Mediterranean food using the freshest ingredients bought daily. Yes we recommend that you call us to place a reservation to avoid disappointment. Window seating is on a first come first served basis for guests who make reservations. 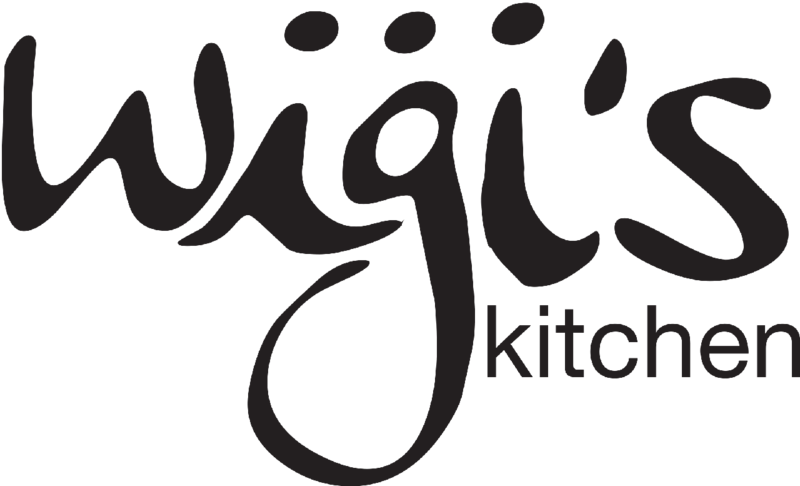 Wigi's kitchen is a cosy restaurant with only 12 tables. Do you take large group bookings? Unfortunately due to the size of the restaurant and the kitchen, the largest group reservation we can take is a table of 12. Are children allowed at the restaurant? Do you have a children's menu ? No we do not have a children's menu but we expect parents to manage their child's behaviour not to bother other patrons with unnecessary noise. Children with Ipads and mobiles are kindly asked to keep the volume of their gadjets atthe lowest possible. Due to the size of the restaurant we discourage guests to bring up their push chairs. As said before we specialize in meat and fish though we are flexible and could always prepare vegetarian options should one inform us upon request. It would be ideal to advise us beforehand when you call to make your reservation so our chefs will be notified of your dietary requirements. You can call us at the restaurant and we can make the necessary arrangements. We do not provide parking facilities but guests can park thier cars at the Le Meridien Hotel car park which is situated a few blocks away. Although we always prefer to be paid in Euro, yes we accept all major debit and credit cards.